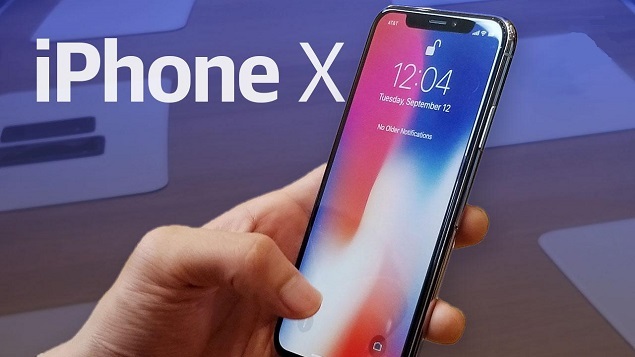 The iPhone X will be available for pre-order starting tomorrow, October 27th, 2017 at Costco. The only carrier that you will be allowed to pre-order the iPhone X at Costco on, will be Verizon. If you’re looking to get the iPhone on either T-Mobile, Sprint, or AT&T at Costco, you’ll have to wait until launch day, which is November 3rd. What we suggest if you’re looking to pre-order the iPhone X on Verizon at Costco is being one of the first ones in the store on Friday, October 27th. We would suggest getting there around 9:30am for a 10am opening time. Quite often most locations let people in a little early. Go straight to the Wireless Kiosk and you should be one of the only people pre-ordering. If you pre-order the iPhone X on Verizon at Costco you’ll get a $100 Costco cash card. If you are activating a new line you’ll get an additional $25 gift card. In addition, all iPhone X orders will get a free 5,200mAh battery bundled with it. Since Apple controls the price of their product everywhere, Costco is not allowed to sell it below MSRP. However, Costco can offer something for free bundled with the purchase. For mobile phones it is usually an accessory pack that includes a charger, a case, and maybe a mount. This time around we anticipate Costco will offer some sort of Costco gift card rebate with purchase at launch. Costco Wireless should be getting Apple iPhone X’s in all locations on launch day (November 3rd). They will likely be getting a few of most models, but they will likely not have every color of every model on every carrier. If you show up to the store early and stand in line you might have a shot at the one phone they get in that’s what you’re looking for. Keep in mind you cannot wait in line overnight at Costco. Security will kick you out. We hope that helps you in your quest to get an iPhone X. Post a comment if you have any more questions that we might be able to help you answer. Why doesn’t COSTCO offer sim free, unlocked Iphone X phones ? Whenever there is an anomalous pricing situation or a biased selection of product availability , my years of corporate employment experience has invariably pointed to the buying agent being provided some discrete under the table “blandishment” by the selling agent of the supplier …The % factor of the “baksheesh” is small and very difficult to prove because these individuals are smart operators . COSTCO ? never happen…….All employees are 100% honest and above board ..
Any apparent anomalies are a figment of imagination ! In any case – don’t sweat the “small stuff ” of inter corporate arabesques ..It is peanuts compared to the shenanigans when governmental contracting is involved !